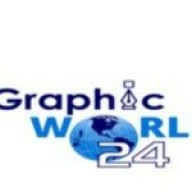 There are no messages on graphic24's profile yet. I've been using Canon Printers for printing my work. Graphic World 24 is the leading photo editing firm and offers photo editing services to photographers from all over the world.